. It is an arachnid, but I think it is a different kind than spiders. There appears to be a single section of exoskeleton rather than the two segments spiders have. 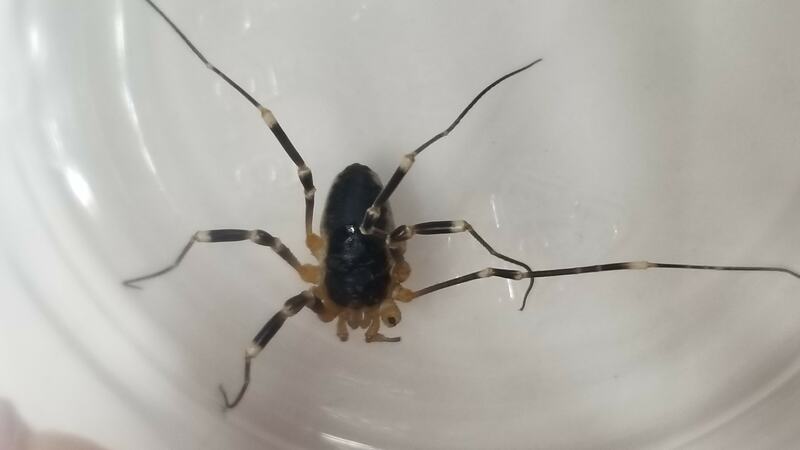 It might be order Opiliones. Any idea on identifying this spider?